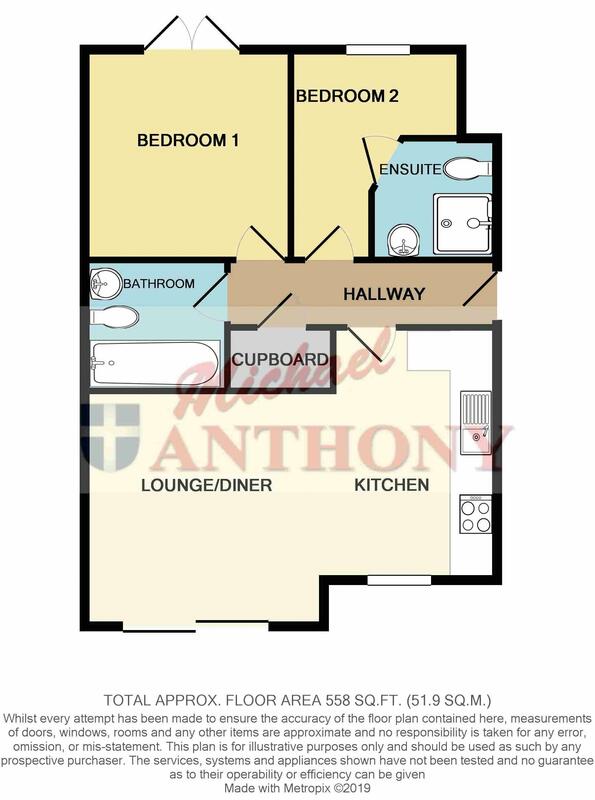 Michael Anthony are pleased to offer this IMMACULATE TWO BEDROOM APARTMENT. Situated close to the Aylesbury Vale Parkway train station with direct link to London on the ever popular Berryfields development. The accommodation briefly comprises entrance hall with built in storage, OPEN PLAN LOUNGE/DINER/KITCHEN with integrated appliances, two bedrooms, one bedroom with en-suite, family bathroom and garden. A viewing is highly recommended, please call Andy to arrange on 01296 433666. Entry via front door, doors to lounge/kitchen, bedrooms, bathroom and storage cupboard. Double glazed french doors leading to garden area, radiator, laminate wooden flooring, open plan to kitchen, double glazed window to side aspect, a range of storage cupboards at base and eye level, single drainer sink unit, splash back tiling, double oven and gas hob with extractor hood over, built in fridge freezer, washing machine and dishwasher. Double glazed french doors to side aspect, radiator. Double glazed window to side aspect, radiator, door to en-suite. A three piece suite comprising a shower cubicle, pedestal wash hand basin with splash back tiling, low level w.c., heated towel rail, tiled flooring. A three piece suite comprising a panelled bath with thermo shower over with shower screen, low level w.c., pedestal wash hand basin with cupboard under, tiled flooring. Artificial grass, patio area, iron fencing.